In 2015, 193 Member States of the United Nations agreed on a plan of action — for people, prosperity, planet and peace — to address some of the biggest challenges of today’s world. A global agenda, the 2030 Agenda for Sustainable Development, was defined. World leaders embarked on a collective journey to address issues of poverty, inequality, infringements of human rights, hunger, resilience, and humanitarian crises that affect millions and millions of people. Recognizing the fragility of our planet, they also vowed to address climate change and to support climate action initiatives, commitments and partnerships for a healthier planet. To achieve this agenda, countries defined 17 goals (the Sustainable Development Goals – SDGs). A total of 169 ambitious targets and 232 indicators were drawn up to measure progress towards achieving the SDGs. Data is at the centre of the 2030 Agenda! Digital data today is being generated all over the world, every second of every minute. As we go about our daily lives, buying and selling goods on the Internet, using mobile phones to stay in touch with each other and with world events, or financial services for transactions, we generate massive amounts of digital data and leave behind digital footprints. These data can be collected and analysed to provide solutions that support sustainable development and humanitarian action. Yet, some would argue that only part of the world’s population generates digital data, which is creating a digital divide. My view on this is that the digital divide has been around for at least the last two decades and is still present in some parts of the world and among some population groups. But the situation is changing rapidly. Why is it changing? First, there is an exponential growth of access to digital devices in most parts of the world, in most societies and among most population groups. This has resulted into the “Digital Revolution” as described in the “A world that counts – Mobilizing The Data Revolution for Sustainable Development”, report by the UN Secretary-General’s Independent Expert Advisory Group. Access to digital devices is growing faster than access to clean water or access to decent jobs. For example, Internet penetration in Italy has been steadily growing and has now reached 90%. In Africa, while the percentage is lower, 35%, the growth in recent years has been exponential. In fact, Africa’s claim to be the “mobile continent” is even stronger than previously thought, with researchers predicting internet use on mobile phones will increase 20-fold in the next five years – double the rate of growth in the rest of the world. Second, the digital divide gap is narrowing thanks to new advancements in Artificial Intelligence and machine learning. We can now transform reality into a source of digital data: any aspect of reality can now be counted, measured and analyzed with trained software. There are already multiple examples of projects using AI for good to address development issues. How can big data, digital data and artificial intelligence support the 2030 Agenda? In short, by providing solutions in real-time, and at a lower cost, to the challenges of our era. Mobility data from mobile phone networks can reveal the extent of displacement after a disaster and predict the spread of infectious diseases, while mobile airtime purchases can track food consumption. Roofing materials visible from space can serve as a proxy for poverty, and postal records are being used to estimate trade flows. We, at Pulse Lab Kampala, have done a lot of work using new data sources, analytics, and AI to advance sustainable development. For example, we recently developed a prototype with partners that transforms elements from remote sensing data into digital data bites. Instead of manual identification of elements from satellite imagery, for example roofs or cars, the software does it automatically. 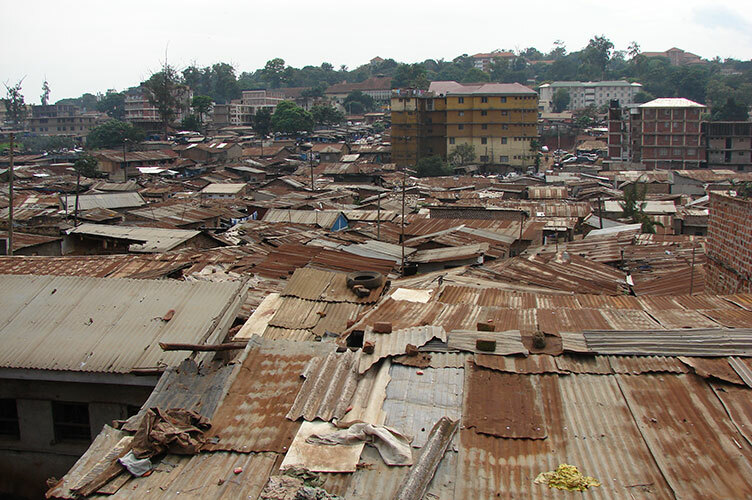 We are now working with partners in Uganda to use this technology to monitor the extent of the slums in cities and their growth in real time to support the provision of basic services to people who live there. Also, to best understand health-related issues, our Lab together with partners, developed a prototype that transforms what people say during radio talk shows into a digital data source. We do this by applying data mining techniques to the estimated 7.5 million worlds spoken in public discussion forums on radio in Uganda every day. With this technology, we can extract people’s opinions and testimonies related to public health issues. For example, in an exercise conducted last year, people were sharing testimonies on radio on how mosquito nets distributed to populations to prevent malaria were being used to wash dishes or make fences to keep poultry inside, instead of being used to cover beds. Such information can be used by the government and by other development partners to improve health service delivery. It is true that many people around the world still live a life far from digital devices. But this reality is changing rapidly. In Uganda, where Pulse Lab Kampala is headquartered, pastoralists in Karamoja — a Northern region of the country — now keep their savings in a mobile money account. And how do they access this account? They might not own a mobile phone, but they keep the SIM cards with them (they sew them into their clothes to keep them safe) so that they can perform digital transactions. In another project, we tried to understand water consumption patterns to help address the root causes of inequality. The Lab conducted an analysis, with partners, of historical water consumption records in Kampala based on millions of data bites. The results showed a real measure of inequality: one person living in the most affluent area of Kampala consumes 70 times more water than a person living in a slum. There is today an unprecedented opportunity to responsibly use new data sources and new technologies in ways that benefit the public good. But to make use of the opportunities presented by the data revolution, we need a new mindset. We need to change the way we look at the world and the way we understand data and analytics. The only way we can benefit from the value of digital data is by shifting from data collection to data streaming and analysis. This isn’t just about measuring progress — it’s also about designing development programmes in ways that take advantage of access to real-time information. Scaling up the data revolution for sustainable development will also require an evolution in how data is regulated around the world. Data protection and data privacy frameworks and ethical standards need to be put in place to prevent risks of data doing more harm than good, and to protect not only individual but also collective privacies. Efforts such as the new European General Data Protection and Regulation or the United Nations Development Group’s Guidance Note on Big Data for SDGs: Data Privacy, Data Protection and Ethics, which UN Global Pulse developed, are a step forward in the right direction. Ultimately, using data and technology to improve the wellbeing of people will require a concerted effort by all stakeholders to meet the needs of communities and to ensure that “no one is left behind” in the process. Dr. Paula Hidalgo-Sanchis, is the Manager of Pulse Lab Kampala, one of the three innovation Labs of the UN Global Pulse network. She has over 17 years of experience as a humanitarian and development practitioner, of which 15 were spent working in field offices across America, Asia and Africa.